최대3000 W의 휴대용 레이저 파워 미터. The PRONTO series for high power replaces the FLASH series that is now discontinued. 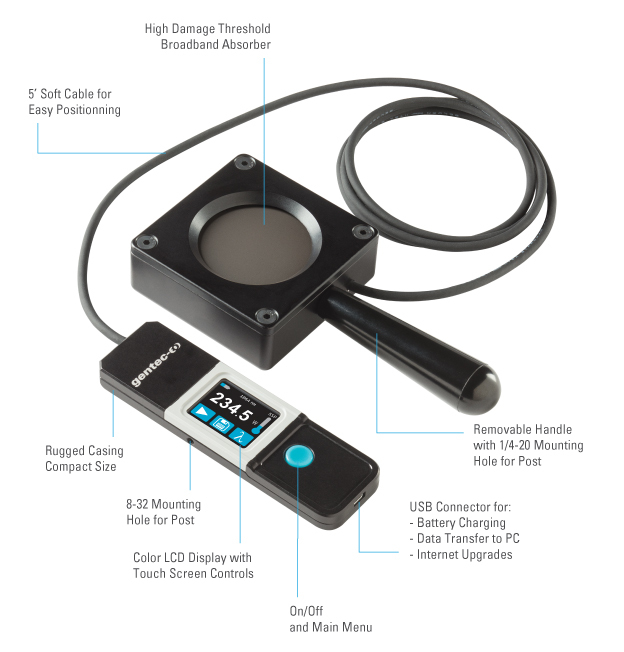 The PRONTO models offer the same laser measurement capabilities, but with new and improved electronics that allow for data logging, more calibration points and USB connection for data transfer and charging the battery. Firmware for Pronto High Power & IPL series.